Over half the world lives under authoritarian regimes. For these people, the opportunity to engage in politics moves outside the state's territory. Mobilising across borders, diasporas emerge to challenge such governments. This book offers an in-depth examination of the internal politics of transnational mobilisation. 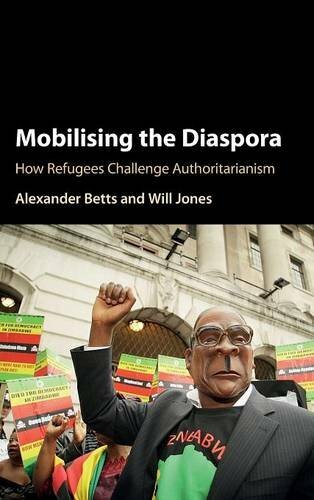 Studying Rwandan and Zimbabwean exiles, it exposes the power, interests, and unexpected agendas behind mobilisation, revealing the surprising and ambivalent role played by outsiders. Far from being passive victims waiting for humanitarian assistance, refugees engage actively in political struggle. From Rwandans resisting their repatriation, to Zimbabweans preventing arms shipments, political exiles have diverse aims and tactics. Conversely, the governments they face also deploy a range of transnational strategies, and those that purport to help them often do so with hidden agendas. This shifting political landscape reveals the centrality of transnationalism within global politics, the historical and political contingency of diasporas, and the precarious agency of refugees.